It was with great pleasure that in October last year we officially launched Dementia Australia as the new voice of Alzheimer’s Australia for the 425,000 Australians living with all forms of dementia, their families and carers. In the eight months since then our transition to a unified, national peak body is proving to be timely and valuable as the benefits of shared resources, knowledge and expertise make a positive impact across all our services, including education, counselling and support. While we still have some way to go, it is encouraging and rewarding to see how far we have come. As a bigger, stronger, bolder Dementia Australia we continue to take shape. 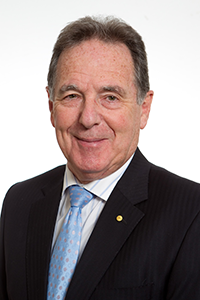 We continue to gain confidence and capacity to not only keep the subject of dementia front-of-mind in the political and public interest, but to seek and capitalise on opportunities to ensure the needs of every Australian living with dementia and their family are heard, respected and prioritised. This has been evidenced through continued media coverage that has constantly kept dementia in the news and in conversations around Australian dinner tables. More recently our recommendations to the Federal Government’s Carnell-Paterson review for a simpler and more accessible safety and quality regime for aged care has resulted in the creation of the Aged Care Quality and Safety Commission, which will provide a single point of contact for dealing with claims of sub-standard care. This merging of the Australian Aged Care Quality Agency, Aged Care Complaints Commissioner and the aged care regulatory functions of the Department of Health into a single entity will benefit people living with dementia, their families and carers. This Commission is one of many measures Dementia Australia has called for, and we are pleased to see it included in the Federal Government’s 2018 budget as part of its $5 billion dollar commitment to the aged care sector. And, while we welcome this investment to help ensure better access, better quality and overall better ageing for all Australians, we would also like to see the government recognise dementia as the significant health and social challenge that it is, as well as a core business with more than 50 per cent of residents in aged care having a diagnosis of dementia and many more remaining undiagnosed. 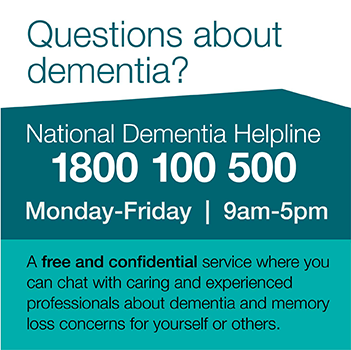 In addition to advocacy, we continue in our role to inform people about Dementia Australia’s many services that enable people living with dementia to stay at home longer, and for thousands of Australians to better understand and manage the diagnosis, its progression and to live well with dementia. I would like to acknowledge the incredible dedication of our teams of staff and volunteers, and the contributions of our consumers around Australia. I look forward to a future full of promise for Dementia Australia, and for the people we are here to serve.